Intensely Cleansing Salt Scrub encourages cell regeneration for the softest, smoothest, most nourished skin. The lusciously fragrant, intensely moisturising body wrap will transport you to the Far East. For best results it is recommended that you combine this scrub with a massage. This is a deeply cleansing salt scrub that encourages cell regeneration for the softest, smoothest, most nourished skin. 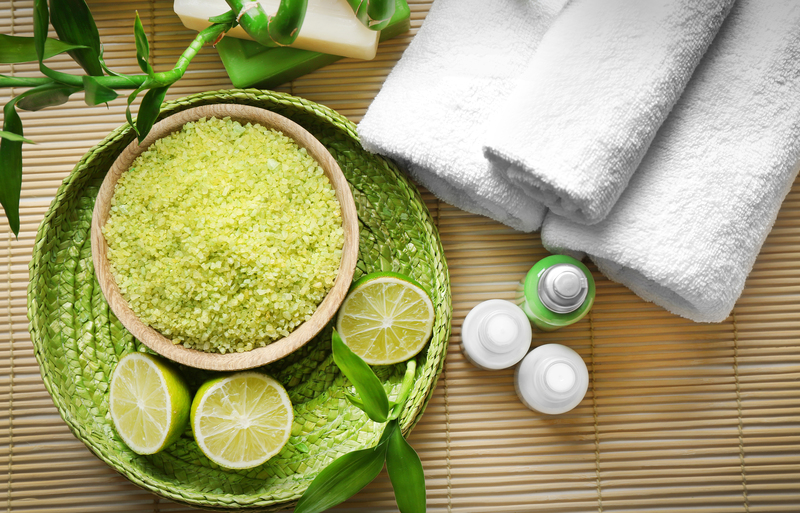 The extraordinary cleansing power of salt, as applied during the scrub, works towards releasing toxins from the body. The fragranced salt of your choice will gently slough away dead skin cells, encouraging the regeneration of new skin cells leaving a smooth and responsive canvas, ready to absorb the deeply nourishing body oil. The result is velvety soft, invigorated skin. Intensive moisturising for ‘thirsty’ skin; an emotionally grounding experience for skin that has never felt silkier. This lusciously fragrant, intensely moisturising body wrap will transport you to the Far East. The velvety texture of the Monoi Oil applied offers super-hydration, quenching thirsty skin. The aromatic oil is applied using sweeping strokes with maximum attention paid to any particularly parched areas. You are kept cocooned and warm while the mood-balancing aromatics and skin conditioning oils work their magic. A combination of nourishing face and body treatments that tends to the unique requirements of mothers-to-be. Address: Centris Business Centre, First Floor, Triq Il-Palazz L-Ahmar, Mriehel, Birkirkara BKR 3000, Malta.